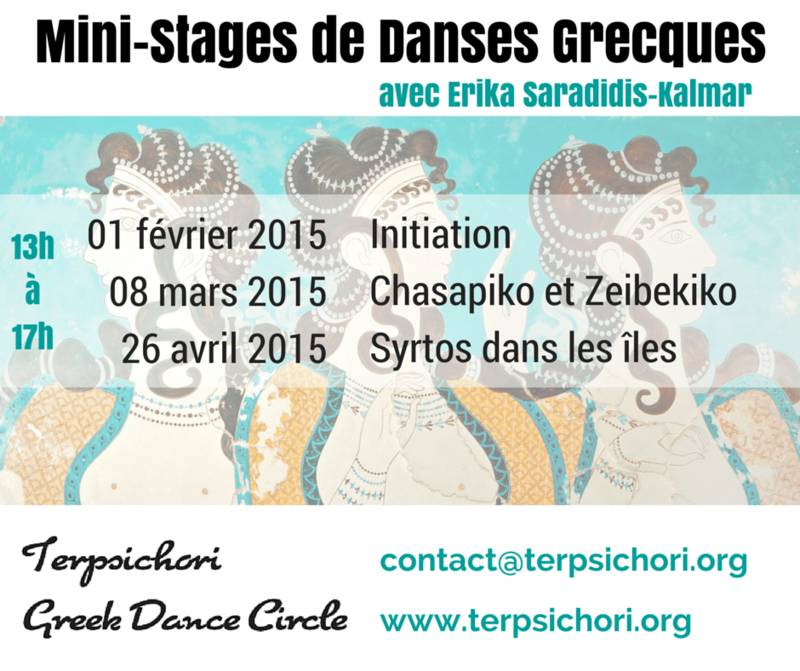 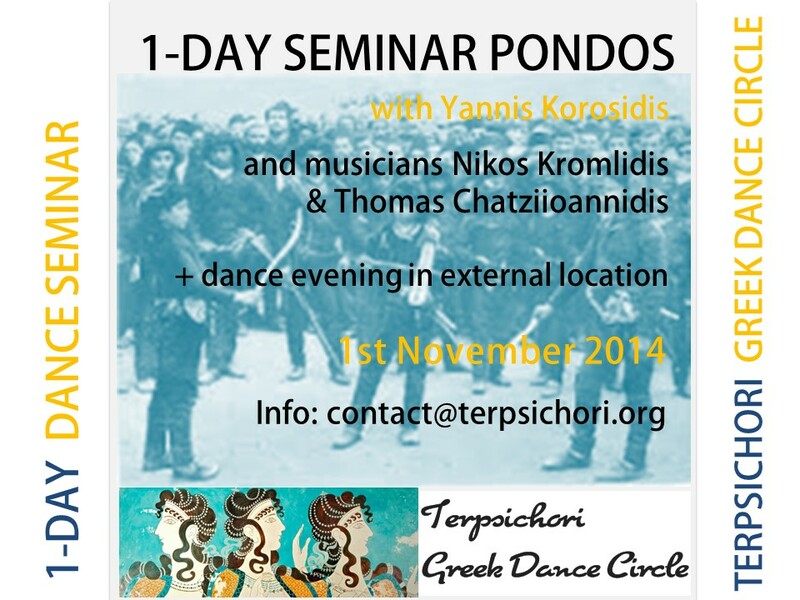 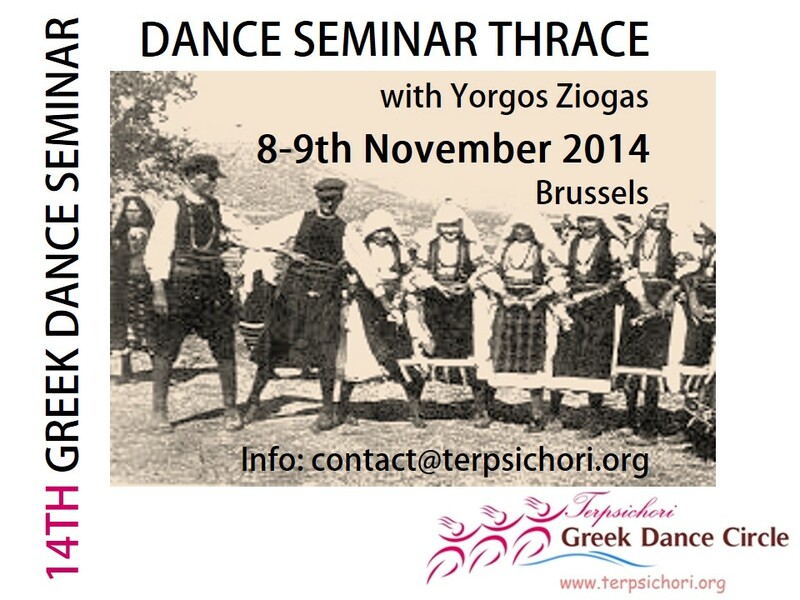 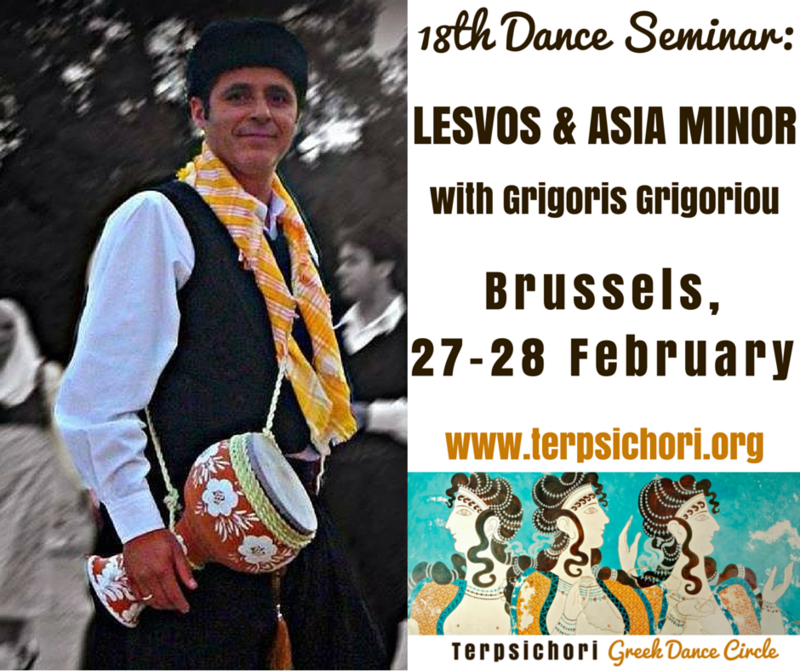 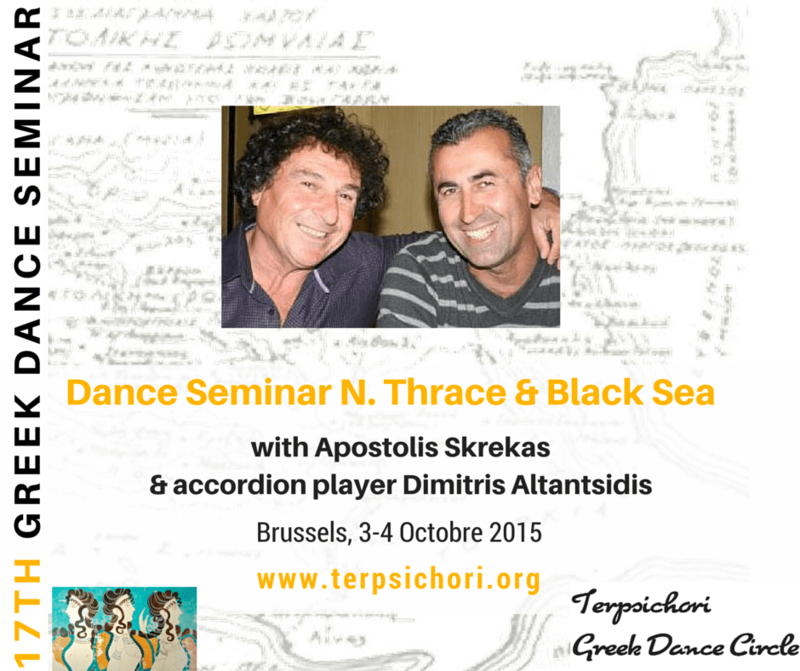 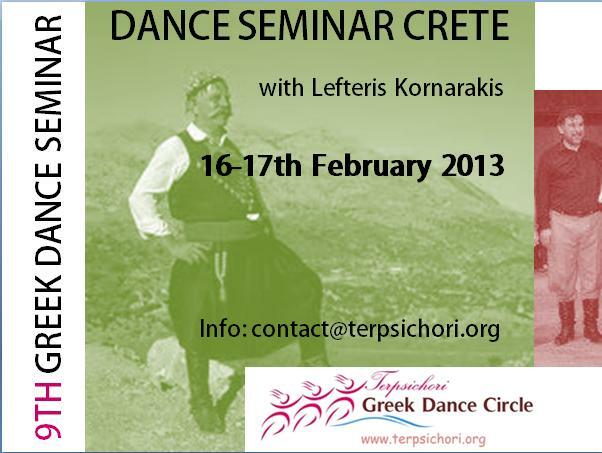 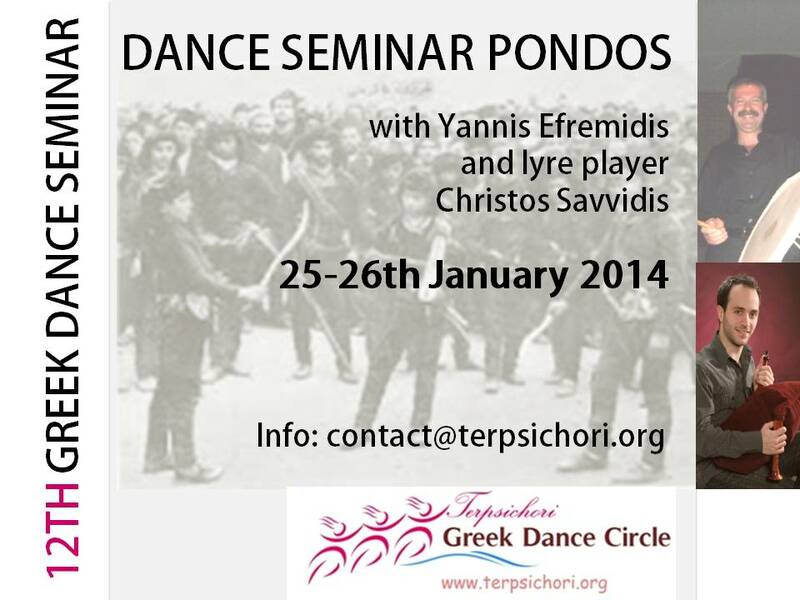 In 2010 Terpsichori Greek Dance Circle started organising dance seminars in Brussels in order to make the dance traditions of Greece accessible for all living in and around Brussels / Belgium. 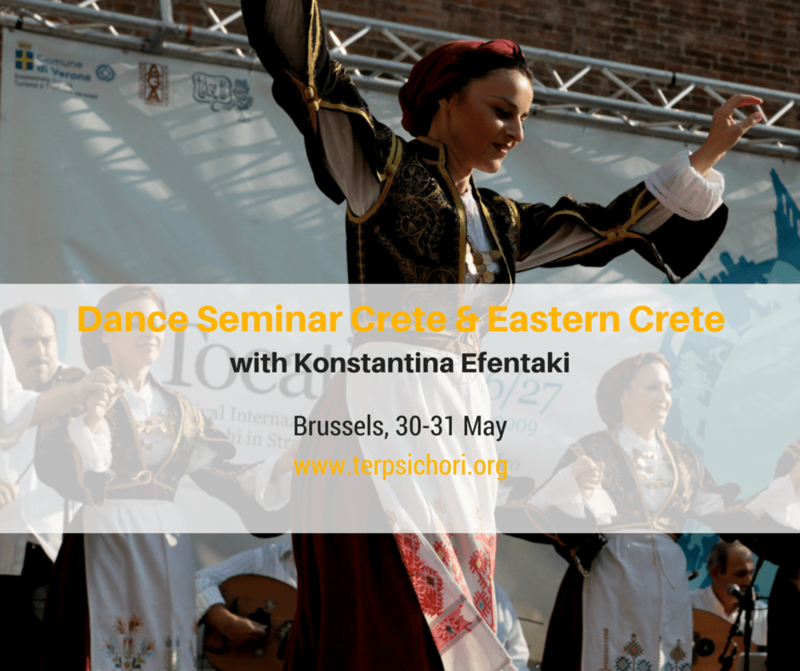 We are especially happy and proud that dance lovers from various European countries join us in our seminars – from the Netherlands, Luxembourg, Germany, France, UK, Italy, Switzerland, Denmark, Sweden, Spain, Finland and Czech Republic. 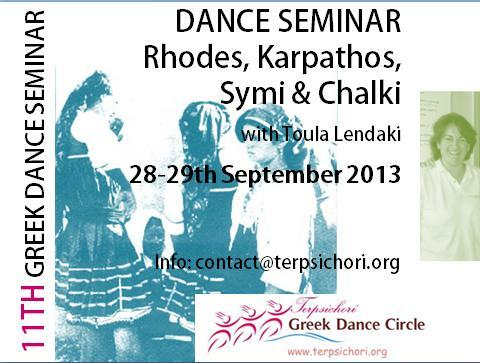 Check out our upcoming seminar details… or take a travel with us back in time to see what we’ve done in the past 9 years. 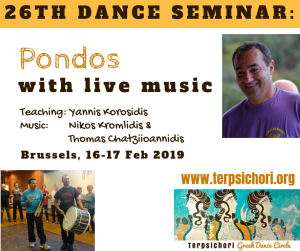 26TH SEMINAR – 16-17th Feb 2019 – Pondos with Yannis Korosidis – with Live Music! 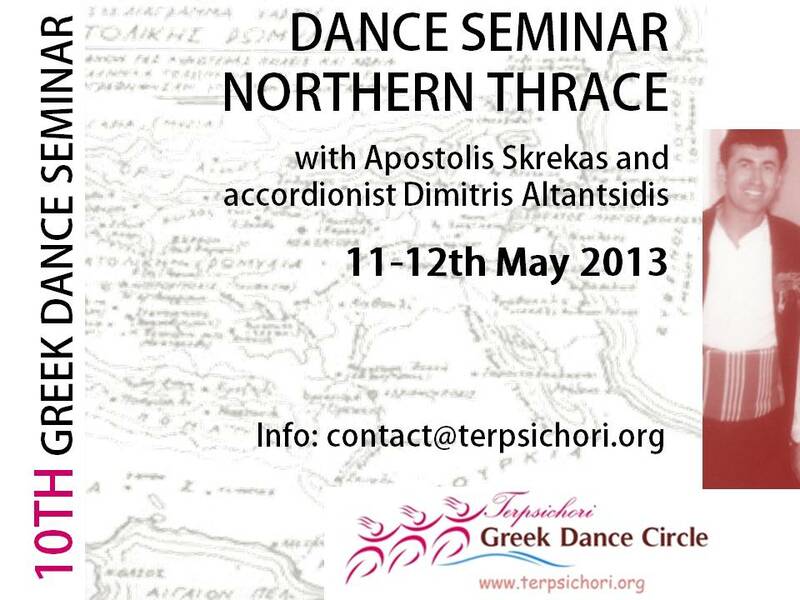 Click here to see some photos of the seminar. 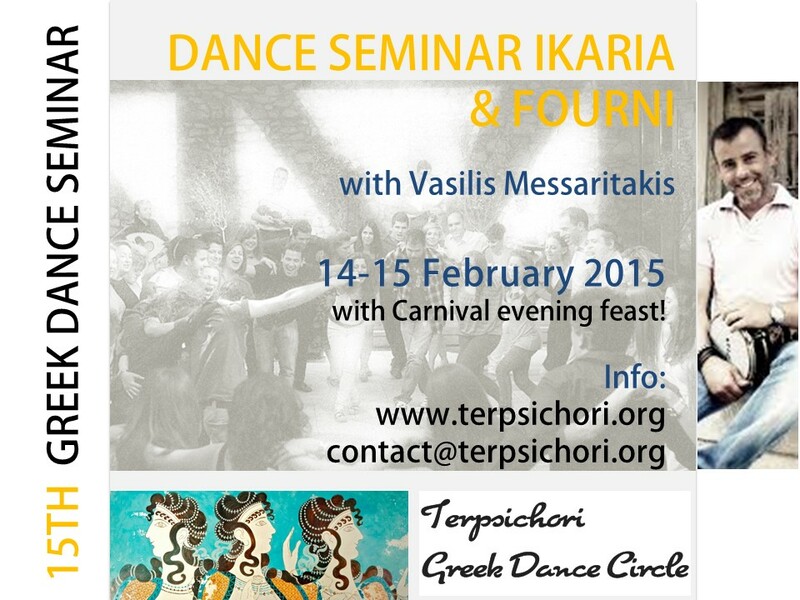 See 2 videos of how we danced in the evening Gaida and Vienna Loza (Erika leads the dance). 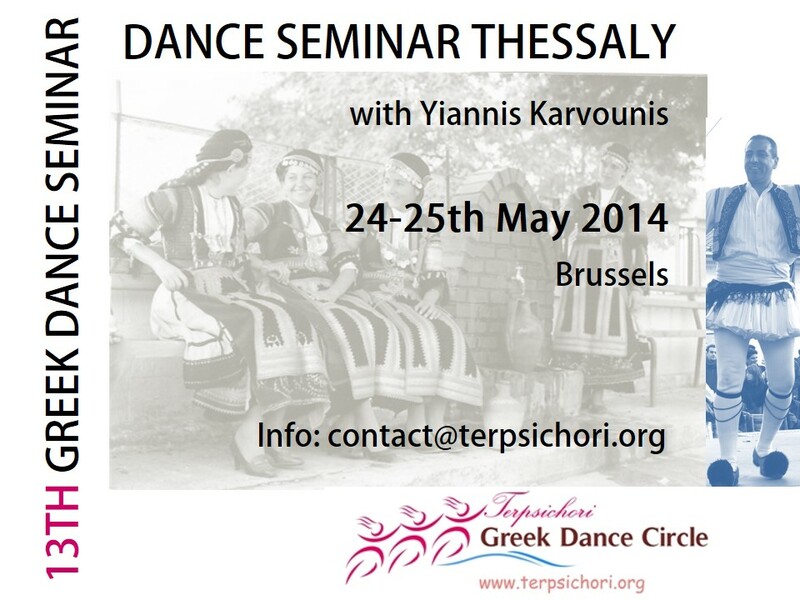 To see some photos of the seminar, click HERE.